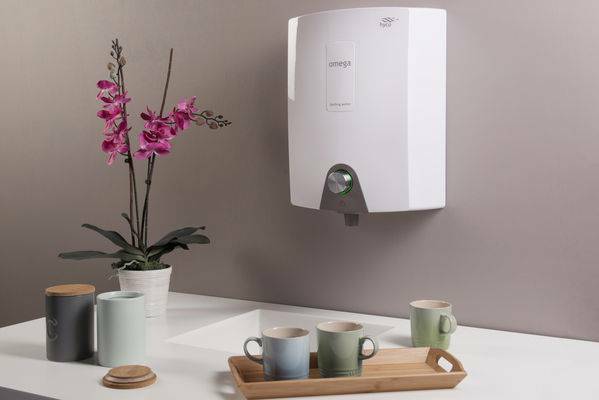 The Omega is a practical, stylish wall mounted unit that provides instant near-boiling water for preparing hot drinks in the workplace. 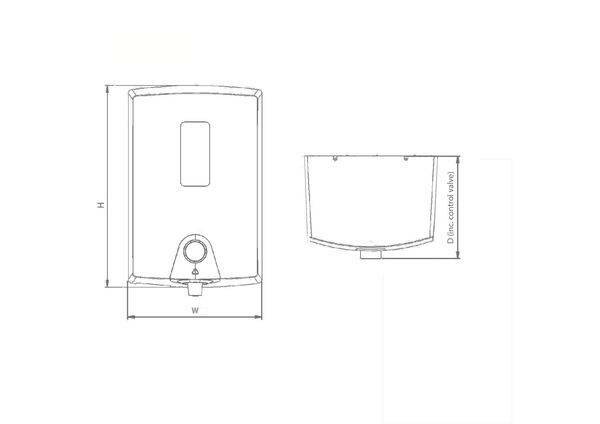 The sleek, ergonomic design with curved lines gives a contemporary look whilst the robust, durable design specification makes it an essential appliance in the work environment. • Energy efficient - costs just 5p a day, based on standing losses 23 W. Electricity cost 10p/ kWh. 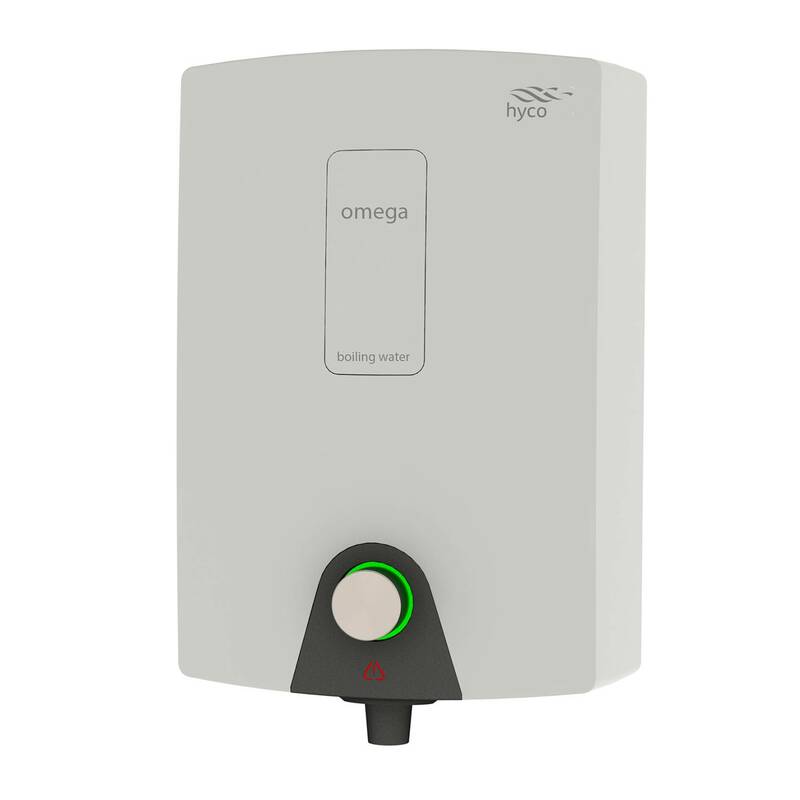 • It is highly recommended that a filter system is fitted to protect against scale build up. Units may need to be de-scaled regularly. Scale damage is not covered by warranty. See Drinking Water Filters page for filter options. Recovery rate 175 cups per hour for all models based on 167ml cup size. Install over a draining board, or work top fitted with a drip tray. At least 110mm clearance must be left above and below the unit to allow later removal of the jacket for service. Minimum water pressure 1 bar. Maximum water pressure 10 bar. Inlet/ Outlet 2 x 15mm compression. Cable pre-wired (1.5m), to the bottom left. It is recommended the unit is descaled every 6 months. Drain in base of unit facilitates de-scaling. 1 year on-site warranty as standard.